Ajahn Brahm answers a question about how we can know about past lives. Five obstacles stand in between you and true happiness. What are they and how can you overcome them? Buddhist traditions teach that there are five negative qualities, or hindrances, that inhibit people from living an awakened life. Here, Mitch Abblett gives this teaching a modern, secular interpretation and helps you identify the hurdles that are blocking your contentment—desire, hostility, sluggishness, worry, and doubt—and how you can take your first steps to overcoming them. Combining traditional wisdom with contemporary psychology and using examples from his psychotherapy practice, Abblett uses the hurdles as a frame for engaging you in a process of contemplating your own life and learning to lean into your experience rather than merely repeating bad habits. By doing this, you can break free from the hurdles and live more mindfully, effectively, and compassionately. Dr. Mitch Abblett is a clinical psychologist, author, consultant and speaker. 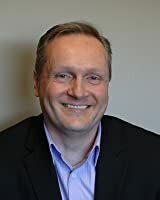 As a clinician, his services focus on work with children, teens, parents, families and adults with whom he creates solutions for a range of concerns or desired growth areas. A clinician in the Boston area for over 15 years, he brings a wealth of clinical experience from various settings (hospitals, outpatient clinics, residential facilities and therapeutic schools) to his practice. For 11 years he served as the Clinical Director of the Manville School at Judge Baker Children’s Center in Boston – a Harvard-affiliated therapeutic school program for children and adolescents with emotional, behavioral and learning difficulties. He has also served as the Executive Director of the Institute for Meditation and Psychotherapy. As a consultant and speaker, Dr. Abblett empowers changes clients through collaborative, tailored interventions. His consultative and training work focuses on mindfulness, compassion and value-driven action and empowering clients to communicate skillfully and authentically. He improves clients’ school and work effectiveness, reduces the effects of stress, and increases skills for health self-management and daily productivity. Dr. Abblett’s writing includes a mindfulness-based book for clinicians (The Heat of the Moment: Mindful Management of Difficult Clients; WW Norton & Co.), Mindfulness for Teen Depression and Helping Your Angry Teen (both with New Harbinger), five decks of mindfulness practice cards such as Growing Mindful: A Deck of Mindfulness Practices for All Ages: PESI Publishing). 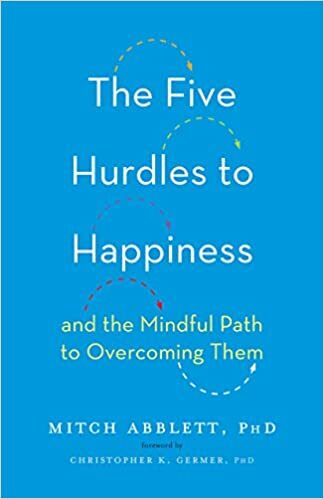 His upcoming book, The Five Hurdles to Happiness-and the Mindful Path to Overcoming Them will be released by Shambhala Publications in August 2018. He also blogs regarding mindfulness applications in family and relationships on Mindful.org. “Eh,” my teacher Ajahn Chah would peer at me when I was having a hard time, “caught in some state again?” In the forest monastery we were constantly being directed both to look at consciousness itself and to precisely name the states that rose to fill it throughout the day: frightened, bored, relaxed, confused, resentful, calm, frustrated, and so forth. More than anything else, the way we experience life is created by the particular states of mind with which we meet it. If you are watching a high school soccer playoff and your daughter is the nervous goalie, your consciousness will be filled with worry, sympathy, and excitement at each turn of the game. If you are a hired driver waiting to pick up someone’s kid, you will see the same sights, the players and ball, in a bored, disinterested way. If you are the referee, you will perceive the sights and sounds in yet another mode. It is the same way with hearing Beethoven, pulling weeds, watching a movie, or visiting Mexico City. Our awareness becomes colored by our thoughts, emotions, and expectations. Our consciousness becomes colored or conditioned, taking on whatever qualities happen to arise with it. When we see this process clearly with loving awareness, then we don’t get caught in each changing state or mood. We can smile and say “Oh yes, here’s that one again.” With mindfulness we open to an inner ease and freedom of heart that serves us wherever we go. Thich Nhat Hanh, the Zen Buddhist master, has some interesting advice about what it means to truly let go. Many people mistake detachment or non-clinging to be a form of aloofness, or emotional disconnect from others, but as Hanh explains, truly letting go often means loving someone more than you have ever loved them before. Gary R. Renard underwent a powerful spiritual awakening in the early 1990s. 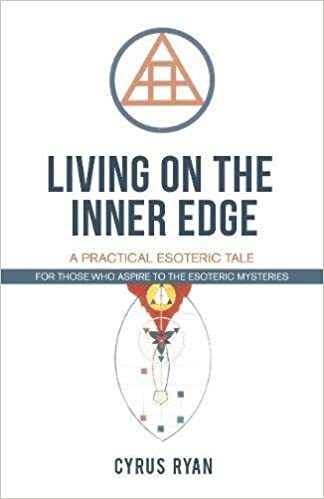 As instructed by two ascended masters who appeared to him in the flesh, he wrote his first best-selling book, The Disappearance of the Universe, over a period of nine years. He was later guided to speak in public and has recently been described as one of the most interesting and courageous spiritual speakers in the world. Gary’s second and third books, Your Immortal Reality, and Love Has Forgotten No One, were also best-sellers. 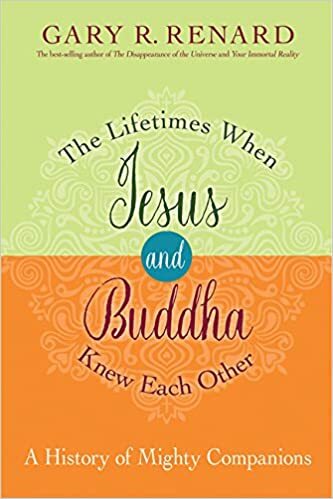 “The Lifetimes When Jesus and Buddha Knew Each Other” which is released on November 14th 2017. 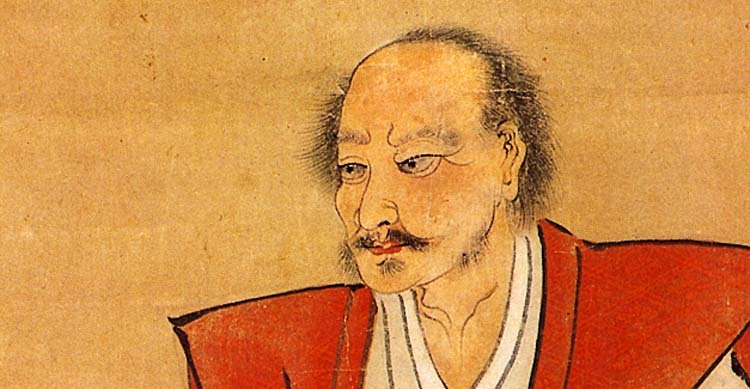 He tells us some untold secrets about Jesus and Buddha and how they were romantic partners in previous lifetimes and how they learned from Plato. We also hear about how to apply the Holy Spirit in terms of A Course in Miracles (ACIM) correctly and let it move through us. At the end we have some funny outtakes for you, because what would life be if there isn’t a good laugh. 1:40Min – How did Jesus/Buddha get to be Jesus/Buddha? 6:27Min – Why non-dualistic teachings rarely survive? 13:09Min – What inspired Gary to write a 4th book? 15:36Min – How to use Holy Spirit correctly? 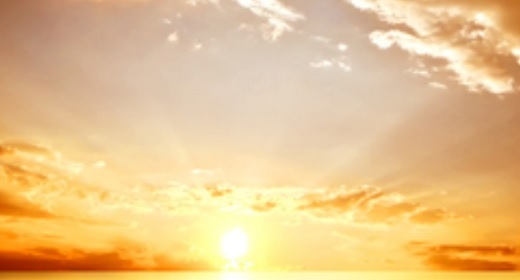 17:14Min – How to save yourself a lot of time in the ascension process? 17:55Min – Why nothing can have an effect on Jesus & Buddha? 24:08Min – Why Gary is ESPECIALLY excited about this book? 27:34Min – How does Gary Live His Happy? 30:57Min – How to experience the Kingdom of God? 31:39Min – When is Gary’s book “The Lifetimes When Jesus and Buddha Knew Each Other” out? Thanissara is from an Anglo-Irish family in London. She started Buddhist practice in the Burmese school in 1975. She spent 12 years as a Buddhist nun in the Forest Tradition of Ajahn Chah where she was a founding member of Chithurst Monastery and Amaravati Buddhist Monastery in the UK. Thanissara has an MA in Mindfulness-Based Psychotherapy Practice from the UK. She has taught extensively since the late 1980’s, is the author of several books, including two poetry books. 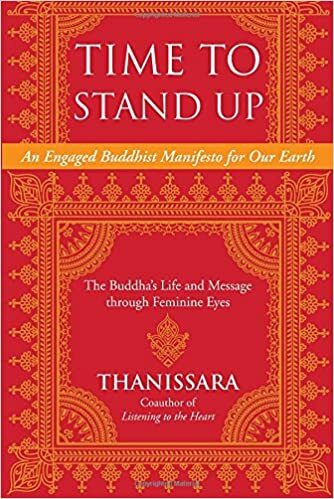 Her latest is ‘Time to Stand Up: An Engaged Buddhist Manifesto for Our Earth’. Time to Stand Up retells the story of the historical Buddha, one of the greatest sacred activists of all time, as a practical human being whose teachings of freedom from suffering are more relevant than ever in this time of global peril. Evolving onward from the patriarchal template of spiritual warriors and their quests, former nun Thanissara explores awakening from within a feminine view where the archetypes of lover and nurturer are placed as central and essential for a sustainable world. Chapter by chapter, the book relates Siddhartha Gautama’s awakening to the sea-change occurring on Earth in present time as we as a civilization become aware of the ethical bankruptcy of the nuclear and fossil fuel industry and the psychopathic corporate and military abuse of power currently terrorizing our planet. Thanissara relates the Buddha’s story to real-life individuals who are living through these transitional times, such as Iraq war veterans, First Nation People, and the Dalai Lama. Time to Stand Up gives examples of the Buddha’s activism, such as challenging a racist caste system and violence against animals, stopping war, transforming a serial killer, and laying down a nonhierarchical structure of community governance, actions that would seem radical even today. Thanissara explores ways forward, deepening our understanding of meditation and mindfulness, probing its use to pacify ourselves as the cogs in the corporate world by helping people be more functional in a dysfunctional systems–and shows how these core Buddhist practices can inspire a wake-up call for action for our sick and suffering planet Earth. When the joy of compassionate service is combined with the pragmatic drive to transform all existing economic, social, and political institutions, a radical divine force is born: Sacred Activism. The Sacred Activism Series, published by North Atlantic Books, presents leading voices that embody the tenets of Sacred Activism–compassion, service, and sacred consciousness–while addressing the crucial issues of our time and inspiring radical action. THANISSARA is Anglo-Irish and originally from London. She trained in the Burmese Vipassana School of Meditation for three years, and was a Buddhist nun in the Thai Forest School of Ajahn Chah for twelve years. 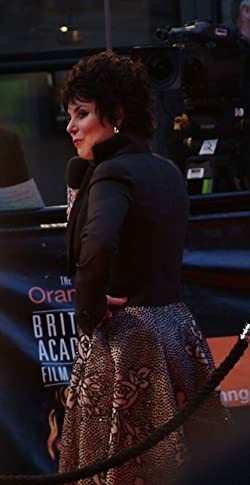 She has taught Buddhist meditation internationally for thirty years, and has a Master of Arts in Mindfulness Based Core Process Psychotherapy and a Post-Qualification Master of Arts in Mindfulness Based Psychotherapeutic Practice from the Karuna Institute of Middlesex University in London. 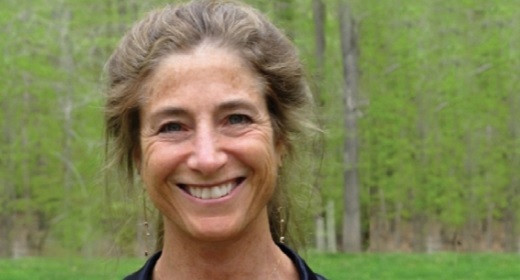 She is a cofounder and guiding teacher of Dharmagiri Meditation Centre (South Africa) and Chattanooga Insight (Tennessee), a core teacher at Insight Meditation Society (Massachusetts), and an affiliated teacher of Spirit Rock Meditation Center (California). She lives between South Africa and the United States. Thanissara and Kittisaro, her husband and teaching partner, coauthored Listening to the Heart: A Contemplative Journey to Engaged Buddhism, and she has written two poetry books, Garden of the Midnight Rosary and The Heart of the Bitter Almond Hedge Sutra, and Time To Stand Up: An Engaged Buddhist Manifesto for the Earth. This talk “Awakening from Separation” given by Thanissara, also known as Linda Mary Peacock, impacted me quite deeply and I’m very happy to be able to share it with you here/now. 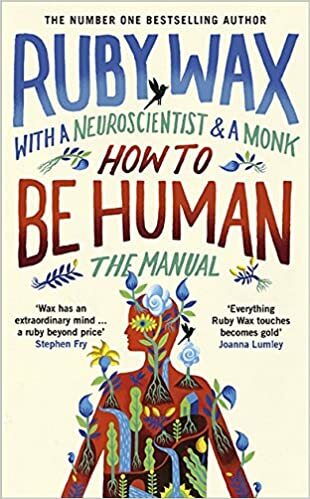 Having listened to this talk several times, my hearing, learning and understanding of the practice continues to deepen. My desire and intention in posting this talk is simply to help share this Dharma, by getting the word out, and helping as many people as I can by providing links to the teachers, events and organizations that are helping the world to be more kind, compassionate, wise, generous and awake. (38:26)“We turn our attention to the breath… following the rhythm of the breath… breathing in and breathing out… feeling the breath energy suffusing the body… breathing in and breathing out and training the attention to follow the breath… the attention goes to a subtle experience of breath… as sensations in the body… as we rest there this gathering starts to happen… directly experiencing the whole body… feeling with the whole body… feeling from the inside of the body… calming the mental body… the felt sense body… the physical body… this working with body and breath within the body is the ground and heart of the practice of Samadhi…. What is the path to healing for a society with such deeply rooted racism, fear, and anger? The first step in responding to strong emotions—our own or others’—is to seek to understand. What is the suffering giving rise to this anger? If we can pause, and instead of reacting or judging, look to see the suffering, our heart’s response will be compassionate and wise. For those of us in the dominant culture, it’s challenging yet essential that we respond to the hurt and anger that has built up through generations of violence against people of color. The legacy of slavery requires that we in the dominant culture take responsibility for participating in a society that rewards us for our whiteness. Taking responsibility means seeking ways of reparation, ways to address the institutionalized injustice and inequities leading to one out of three African American men being imprisoned in their lifetime, twice as many blacks as whites unemployed, and median income of black households at less than 60% of white ones. And the inequities are widening! As individuals in the dominant culture we need to start by educating ourselves to white privilege and stay present with our own reactivity to what’s happening—looking at our own fears and confusion, bringing an honest, kind, clear attention to our own experience. This certainly doesn’t mean believing our beliefs, it means bringing mindfulness to our own emotions. If we can be present and kind toward our inner states, we will start seeing how we create separation from others. This will enable us to be more clear and wise in bearing witness to others’ ways of expressing pain. As communities, the deep, transformative healing can arise from collective dialogue. This means same race groups would look into their own wounds and blind spots with the intention of deepening self-understanding. Small interracial groups would form so that those of us who have locked into ideas of other as “enemy,” or “inferior,” or “wrong” can practice speaking and listening together with mindfulness and compassion and learn to see through each other’s eyes. For instance, we need circles made up of police and civilian families who have been violated by police. These and other mixed race circles require a safe container, guidelines on communicating, and a commitment to stay, speak truthfully, and listen with as much heart as possible. There are a growing number of models for these processes of reconciliation—dialogue is happening in this country and elsewhere. This domain of honest dialogue creates the groundwork for healing and awakening from the painful trance of separation. It can reconnect us to our sense of interconnectedness and caring. And importantly, it energizes action to relieve suffering. There will be no healing until those of us in the dominant culture join in solidarity with people of color to end institutionalized racism. This means confronting the ongoing discrimination against people of color—be it in the domain of education, employment, housing, or the judicial system. Omega: How is your sangha (Buddhist community) addressing the issue of racism? Tara: Much of our community is white, so we are exploring our own blindness around white privilege. Through a yearlong white awareness group, we’re looking at the ways we create separation, because as long as there is separation none of us is free. Most of our community’s white senior teachers and white board members are involved. We have equity and inclusivity trainings, and experienced facilitators to help us look honestly at how we’ve gotten caught in certain perspectives and behaviors. We’ve created scholarships for people of color to participate in our activities and retreats. We have several teachers of color and leaders of color in our community and are looking to expand the number. We regularly bring in guest teachers of color. Our organization supports affinity groups within our community, and the People of Color group is flourishing. A small group of us are participating in a diversity sangha (community) dedicated to deepening our understanding and affiliation. And as individuals we’re engaging in solidarity with groups in the larger community that are dedicated to ending racism. At the upcoming buddhafest.org event in DC on June 14, I’ll be part of a panel with Rev. angel Kyodo williams and others to talk about this work and its challenges. Omega: Are there resources you would recommend for other groups looking to work with the issues of racism and white privilege? Tara: A good place to start is with the three-part documentary Race: The Power of An Illusion. Watching this video can be a powerful way to begin to understand how racial dominance has been established and maintained. I also liked the book We Can’t Teach What We Don’t Know by Gary Howard. Even though it focuses on education, it gives a great context for understanding white dominance, and outlines how we can create a positive, socially transformative white identity. You can also find resources and Dharma-based support for developing a racial awareness program at whiteawake.org.